In contrary, a positive attitude towards style will help you to look good all the time and improve your personal image. You will have a better picture of yourself, and your confidence will speak out through your style. You should dress not how you feel, but how you WANT to feel. 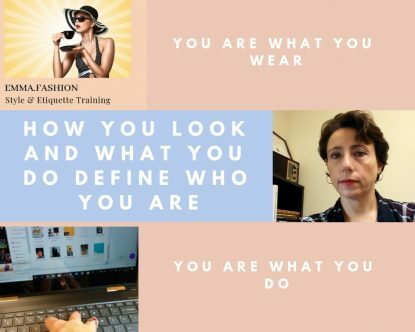 Owning your style gives you the power to know what clothes lift your mood when you are down and what outfit makes you feel in control when you are emotionally overwhelmed. A pair of high heeled shoes can empower you making you feel not just tall but also confident and powerful. Therefore, personal style is a powerful tool that can serve you as a shield or as an inspiration for helping you to become the best version of yourself.